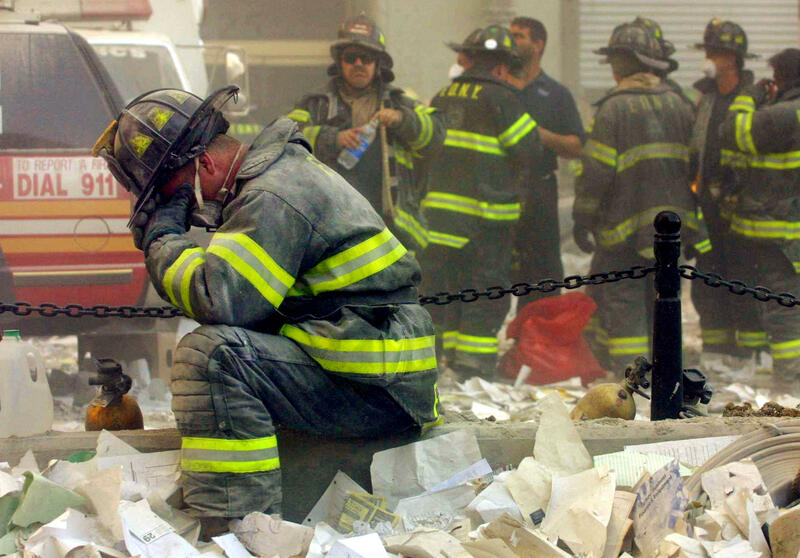 Negotiations for contracts worth $3.6 million issued by the Sept. 11 Victim Compensation Fund (VCF) were tainted by an apparent conflict of interest, according to a new report released by the Department of Justice (DOJ) Office of Inspector General (OIG). As part of the OIG's audit, investigators examined thousands of compensation claims between May 2011 and December 2015. The audit revealed that then-deputy special master Deborah Greenspan, the fund's second in command, issued 18 non-competitive neutral service contracts for the 9/11 fund to two law firms that listed Greenspan as a partner. The OIG audit found that Greenspan signed the federal contracts as "the representative" of Dickstein Shapiro law firm, which was later acquired by Blank Rome LLP. In May 2011, Congress created the VCF to compensate 9/11 first responders who developed medical conditions like asthma or cancer from working at attack sites. The fund was also meant to compensate the family members of responders who died from ailments related to their work. Greenspan was the part-time pro-bono deputy special master of the fund while continuing to work as a full-time private lawyer. Altogether, "the VCF ultimately paid over $3.6 million to Greenspan's law firms to develop policies and guidelines, perform trainings, and otherwise supported [Special Master's Office] operations," according to the OIG audit. How did Greenspan's law firms win these contracts? According to the OIG report, special master Sheila Birnbaum, the New York-based attorney and head of VCF who appointed Greenspan, "expressly requested" that the fund's contracting officer hire Greenspan's law firms. Birnbaum's influence "held a lot of weight," the contracting officer told the OIG. The OIG reviewed documents from the contracting officer and found limited specific reasoning to explain why the VCF awarded the contracts to Dickstein Shapiro and Blank Rome. These documents "cited Deputy Special Master Greenspan's expertise and previous experience with the original VCF" and also provided "a generic statement that the unique requirements of the procurement precluded competition." The contracts, according to the OIG, lacked "sufficient justifications," which risked "creating the perception that the contractor received inappropriate or otherwise unfair preferential treatment." "At a minimum…this action created the appearance of a conflict of interest," investigators wrote. The OIG also tried to determine if Greenspan financially benefitted from these contracts. Blank Rome, the law firm that bought Dickstein Shapiro in February 2016 and Greenspan's current employer, told investigators that the firms did not record a profit from the contracts because "the firms charged a substantially lower rate for its attorneys working for the VCF." Greenspan also told the OIG that the services were provided at a lower price. Additionally, the representative for Blank Rome told OIG that Dickstein Shapiro did not track projects by cost and that information related to Dickstein Shapiro was no longer accessible because the firm had been liquidated. The lack of information left investigators unable to "ascertain whether Greenspan received any financial compensation as a result of the contracts," they wrote. "Despite this," the OIG wrote in its audit, "we believe that it is indisputable that the $3.6 million in revenue that the contracts generated for the law firms and its partners was not insubstantial." Greenspan told the OIG that the DOJ was understaffed and the VCF needed more support. Greenspan did not respond to multiple messages from CBS News. A spokeswoman for Blank Rome sent CBS News the following statement about the VCF contracts that Greenspan signed. "Deborah Greenspan worked tirelessly for years without compensation on the 9/11 Victim Compensation Funds with the sole purpose of helping those who were injured as a result of the tragedy," spokeswoman Kate Tavella said. "[Greenspan] drew upon the assistance of other lawyers in her law firms upon the Justice Department's request and on below-market terms and related conditions specifically dictated and approved by the Justice Department," the statement concluded. When asked by CBS News about the details of the OIG report regarding Greenspan's involvement with the contracts, Birnbaum, the former special master, ardently defended Greenspan. She said via a phone interview that Greenspan was "the most qualified" individual to work with the fund due to her previous experience with the first 9/11 victim fund. Regarding the contracts that the OIG labeled as "an appearance of a conflict of interest," Birnbaum denied the contracting officer's claims made to OIG that she influenced the contract process and asserted that herself and Greenspan "went to the DOJ" before the contracts were finished and that the DOJ "blessed" the decision. The OIG does not agree. In the audit report, the OIG noted that the office spoke with Greenspan and she told the OIG that the Justice Management Division granted her a waiver, however, the OIG said that this "only permitted [Greenspan] to continue to practice law" while serving the fund. "We do not believe that any such waiver could have authorized her to negotiate such contracts given that her interest, as a partner with these law firms, could not be described as negligible," the OIG explained. Citizens for Responsibility and Ethics in Washington (CREW), a government watchdog group, said the OIG let Greenspan "off easy." CREW spokesperson Jordan Libowitz told CBS News "in the absence of a proper waiver, this definitely appears to be a conflict of interest issue." "It doesn't matter if [Greenspan] personally profited, it only matters if she had a direct effect on the interests of her employer," Libowitz said. CREW would have recommended that Greenspan recuse herself from "both sides" of the negotiation or find a different law firm for the contracts. "There should have been a bright line that [Greenspan] did not cross," Libowitz emphasized. The OIG found that Dickstein Shapiro billed and was paid for 156 days of work that were not covered under a contract. The DOJ contract officer that awarded the contracts called the days billed between contracts "unusual." The OIG also discovered flaws in the claims process during the tenures of Birnbaum, who led the division until July 2016, and Greenspan, who resigned in November 2016. From 2011 until December 2015, the VCF leadership oversaw awards over $1.8 billion in compensation for 9,131 eligible individuals and their families. But the OIG found that claims on behalf of the deceased were not always processed and awarded correctly. A DOJ-produced podcast described the process for expediting awards for deceased victims whose representatives reported extreme financial hardships as plagued with "systemic weaknesses." In a sample of 15 deceased victim claims files, OIG found that six of these claims did not fully pay the award of $100,000 each for a loss spouse or dependent child. For one family, the VCF did not pay $300,000 that should have been awarded to them. Furthermore, the OIG found that the VCF mishandled personally identifiable information provided by some families and individuals. Personal information was "routinely" sent to the private law firm email addresses of both Birnbaum and Greenspan. This information usually included names, social security numbers, date of births, medical and financials records, and employment information. VCF personnel told the OIG that DOJ authorized the information to be sent to the leadership as long as the private details were redacted. Yet that OIG discovered the personal information. Greenspan, according to the OIG, said that this information was arranged to be sent through her private law firm email because the DOJ-provided equipment did not work, logging into the VCF program took too much time and it was easier to monitor both law firm emails and VCF emails continuously. In a statement to CBS News, Tavella, Blank Rome's spokeswoman, said it "never held any Victim Compensation Fund documents or electronic files on its servers or elsewhere." "The one instance that Ms. Greenspan was aware of regarding the sending of personally identifiable information occurred at her prior law firm as a result of an error by a DOJ employee failing to redact such information on one page of a multi-page document," Tavella said. The VCF is now run by Special Master Rupa Bhattacharyya. In her response to the OIG audit, she called the VCF an "extraordinarily successful program" that as of June 30, 2017 is "reinvigorated." She said the fund has processed more than $2.8 billion dollars in compensation to 9/11 workers, their families and the thousands of others who were affected almost 16 years. Since assuming leadership of the VCF, Bhattacharyya said that "all aspects of the Fund were reevaluated and revised." The contracts with Greenspan's law firm have been terminated, Nicole Navas Oxman, spokeswoman at the U.S. Department of Justice, said in a statement.